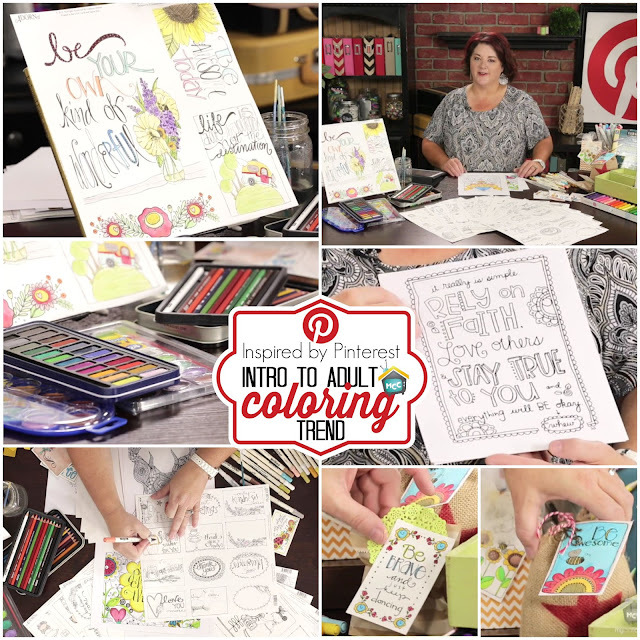 Check out Inspired by Pinterest today as I introduce you to the "Adult Coloring Trend". I will share tips and tricks for coloring, painting, printing and more. And I even list more PINS I loved that I couldn't fit into the episode (scroll down). Print On: Cardstock and Linen Coverstock. I love, love, love Canon's Matte Photo Paper (it's made to accept ink because it's for inkjet printers) and prints best on my Canon PIXMA iP8720 Crafting Printer. So my mother recently moved into a new home and asked me to recreate some wood letters that she saw in one of her home decor catalogs. She wasn't super happy that the price tag on them was almost $200. I assured her with royalty free artwork that is found online I could recreate a similar product. My main concern was I didn't want to reprint a ton of labels, cut them out and mod podge them on individually. I wanted to make this project as easy as possible. So I decided I would lay the labels out on a 13" x 19" image and print out on my Canon PIXMA iP8720 Crafting Printer. The letters were 18" tall and all but the "H" and "M" fit entirely on the sheet. So with a few extra labels printed out and placed on those ends would complete the project. 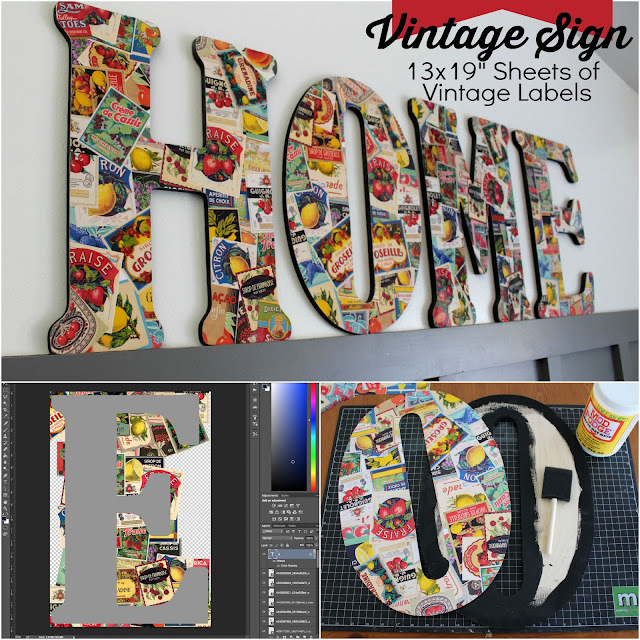 So here's how I created these fun jumbo letters. Allred Design - Lori Allred Disclaimer: Pinterest is a great place to find inspiration but not all pins lead to blogs. I tried to only pick those ideas that I could find the original creator and give credit to. Please take a moment and check out these great blogs because without them I wouldn't have content to talk about on the new My Craft Channel show Inspired by Pinterest.